Kids decal of a teddy flying through the air holding onto six heart-shaped balloons from our collection of heart stickers. If you are looking for similar designs then make sure you also check our teddy bear wall stickers! Create a loving atmosphere in children's room with an illustration of their favorite toy. This design illustrate a very special bear, in this case with flying away by grabbing onto six beautiful balloons. Fantastic decal designed to illustrate the walls of babies and kids. 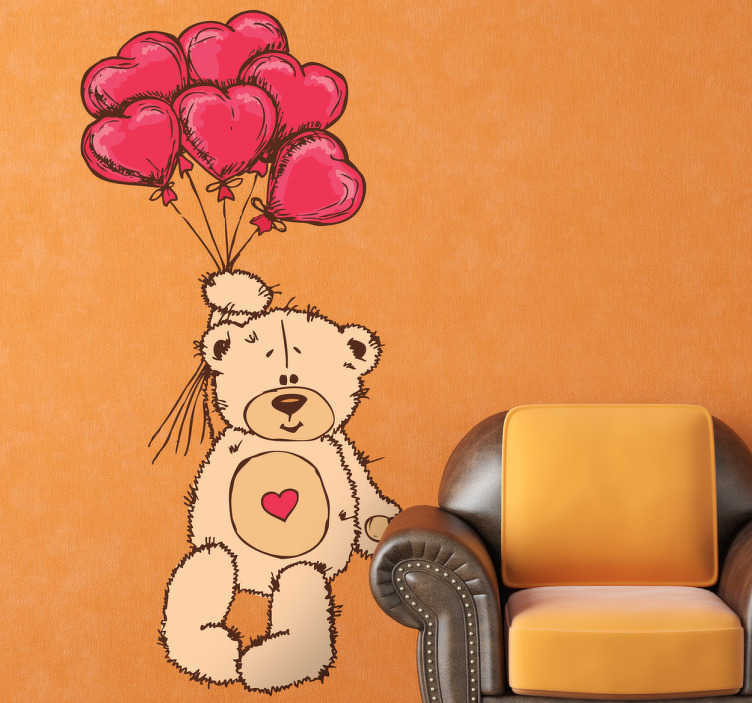 This teddy decal is available in different sizes, pick the size that suits your wall best.